AECOM is listed on the Fortune 500 as one of America’s largest companies, AECOM earns more than US$6 billion in revenue annually. We are publically traded on the New York Stock Exchange since 2007. Troubleshoot issues and requests at Tier 1, but know what should escalate to the other Tiers within the IT Dept. 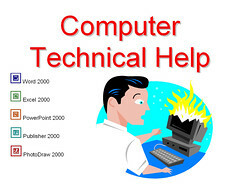 • Help Desk Analysts will receive, log, and resolve all (walk-in, telephoned, emailed, faxed) requests for assistance. A unique tracking number will be assigned to each issue and request entered into Service Desk Management System. This number will be referenced in all subsequent communications for tracking purposes. Help Desk Team members will assign a priority based on the following guidelines: Sort and distribute mail on a timely basis. • Analyst will escalate issues and requests not resolve at Help Desk (Tier 1) level to the appropriate team with the IT Dept. • Analyst will operate in a Help Desk environment and is the primary contact for customers, vendors, operations, and technical services. • Will provide customer assistance by attempting to resolve issues over the phone, remote assistance, remote desktop, and email. • Will unlock and reset passwords for domain accounts and other applications used by MWAA. • Direct experience with PC’s, knowledge and experience with DOS, Windows XP, and Microsoft Office Suite. • Follow all documented current policies, procedures, guidelines set by MWAA and IT Dept. • Will be responsible for generating weekly and monthly reports and send them within the IT Dept and other non-610 dept managers. •2 years of progressive computer experience or computer classes are necessary; 1 (one) year or more experience on a Help Desk servicing Oracle EBS 11.5.10 or higher. • Help Desk experience with quality being very important on call interaction. • Excellent troubleshooting and communication skills. • Must know all versions of Microsoft Windows Operating Systems, and MS Office. • Very strong interpersonal and communications skills. • Multitasking ability – Will have to learn many things at once. • Must have strong problem solving, creative thinking, and organizational skills. • Must have a sense of urgency and work well under pressure. • Strong sense of customer service. • Call Center experience, HDI Analyst certification and A+ certification ia a plus.